Dominate seasonal demands and do business with confidence. Avoid overstocking and understocking of Stock, Deal with wrong dispatches to stores with ease, Handle seasonal sales & store transfers with clarity, tackle the fluctuations of lead time and sales quantities with ease, Auto generate purchase orders for multiple vendors in a single click with rate history comparison, Auto generate Indents / Stock transfer request from locations as per the minimum quantity and re-order level parameters to ensure you are never out of stock. Clearance sales / losses due to dead stock is not because of lack of demand but because of fluctuating demand of goods. MaxxERP helps you define individual product wise inventory level parameters as well as discount limits so that you can avoid over-stocking / under-stocking and maintain a healthy inventory across different seasons. Analytics tool helps you analyse historical data and get prepared for season / demand in advance. It enables you to find best vendors for different product as per their pricing history comparison and lead time and auto generate Purchase orders for multiple vendors for different products in a single click. MaxxERP is a beautiful online replenishment management software. Its very simple & easy to use replenishment software over the cloud. Being a Web based replenishment software makes it accessible anywhere over internet. MaxxERP is the best replenishment software system that can be used on Desktop, Web and Mobile. 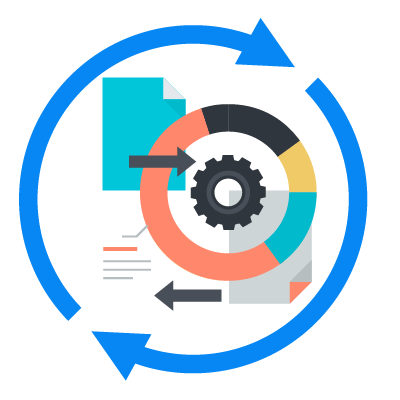 Manage your business replenishment related operations with Complete Clarity. MaxxERP is a secured online bookkeeping of replenishment stock on cloud for small businesses too. Define Min. Qty / Max Qty parameter with each product at master level to avoid under stocking and over stocking for each location. 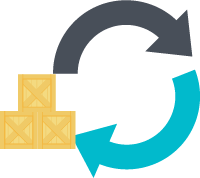 Define Re-order qty and Lead time along with Default Preferred vendor with each product at master level to quickly generated purchase orders. Auto generate purchase order with Rate history comparison. Auto generate indent / stock transfer request between locations. Product wise last 4 weeks sales performance graph while purchase order entry to quickly rejudge on ordered quantity. Multiple vendors wise active purchase pricelist rate comparison while purchase order product entry. On-screen over stock / under stock popup notifications. Order qty as per shortage from Minimum qty defined in master. Order qty as per re-order qty defined in master. Order qty as per expected sales percentage as per past sales data.